five years ago Tman put together one of my favorite Christmas ideas of all time. he stuck with a theme (i know, impressive and thoughtful). the theme he chose was a Gold Christmas. everything in my stocking was gold - gold ballet flats, gold wallet, gold watch and gold makeup. 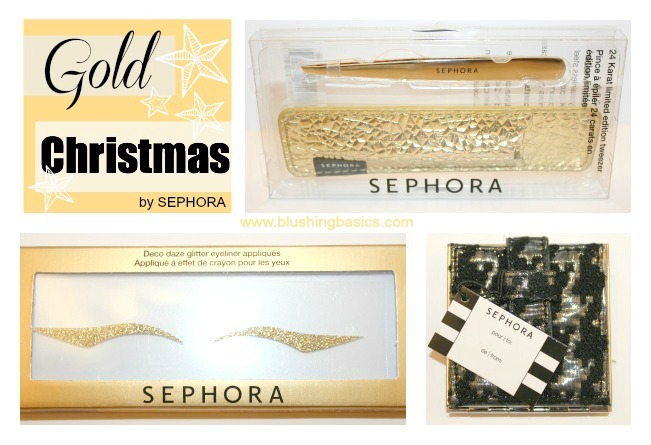 this year Sephora has some great gift ideas and limited edition items that are (you guessed it) GOLD. here's a suggestion - copy and paste the link to this post and forward it to your husband. better yet, head over to Facebook and share this post to his wall. nothing could be more subtle. first, let's discuss the gold eyeliner appliqué. similar to the one i wrote about here, these eyeliner appliqués are sick. as in good. the Sephora Collection Deco Daze Glitter Eyeliner Appliqués: easiest winged eyeliner ever + glittery gold color that won't get glitter over your entire face = glam squared. the cute little Sephora Houndstooth Mirror makes a great stocking stuffer or small gift for girlfriends. imho this would be adorbs if used as the card for any gift you may be putting together. let's just take a minute of silence to appreciate the 24 Karat Gold limited edition Sephora Tweezers above. 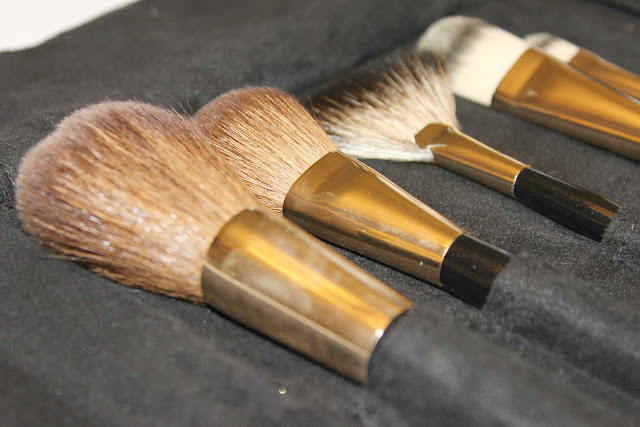 it is a great tweezer designed to eliminate the most stubborn hairs, yadda yadda yadda. how about the fact that this gorgeousness is GOLD? every year Shu Uemura puts out a limited edition Gold Eyelash Curler that is incredible and every year that beauty sells out. i imagine we'll be seeing this tweezer set fall into the same fate. purchase now or forever hold your lust. 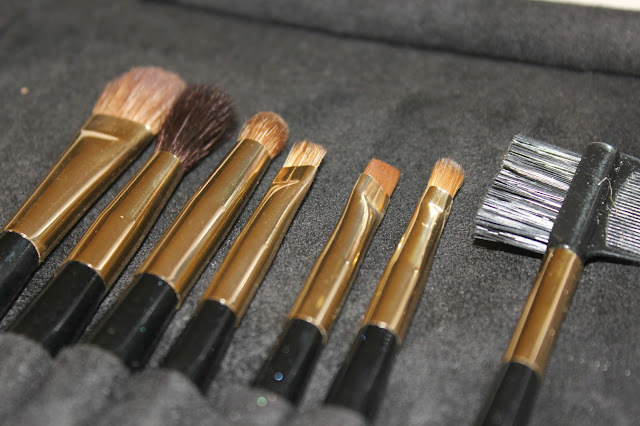 last is this amazing Prestige luxe brush set. i received a Sephora brush set last year for Christmas and it has a permanent place on my vanity countertop - the makeup equivalent of courtside tickets. 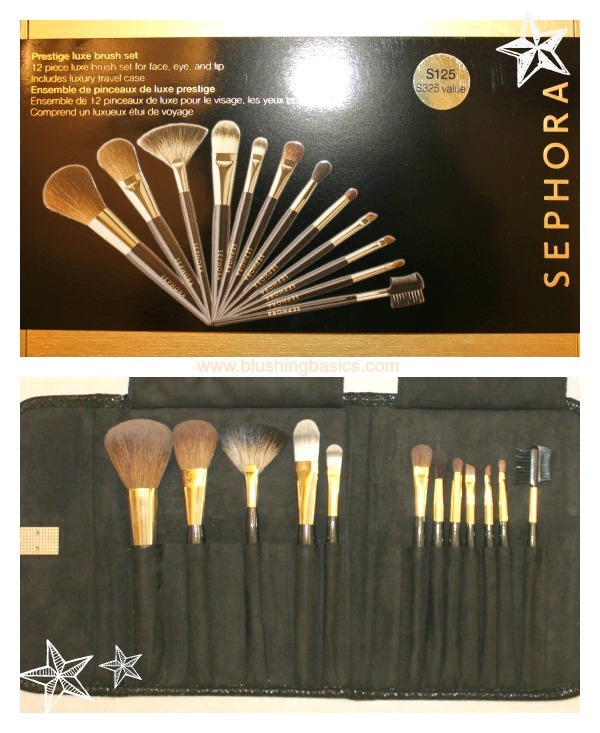 Sephora brushes are great quality, wear well, apply color evenly and won't cost you a kidney. if you're interested in a set, here's this years edition to what i have. don't forget - this could be just the reminder or prompting your significant other may need to ensure you have the best Christmas ever.